Since the festival began in 2005, Riot Fest has expanded beyond the walls of Chicago’s Congress Theatre to multiple days in different cities across the country. They’ve brought reunions of classic punk musicians along with seasoned and emerging artists of punk, rock, alternative, metal and hip-hop genres. Their latest endeavor involves a new take on their carnival environment that they’ve incorporated into the festival. 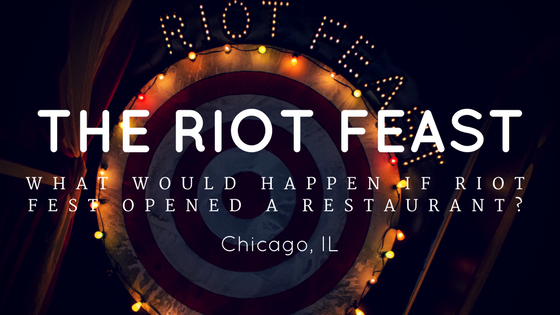 The Riot Feast opened July 8 at 1941 W. North Ave., the same location used for the successful Saved By The Max pop-up diner. The interior has since been stripped of its geometric countertops and vinyl seating and replaced with circus tent drapery and side-show attraction posters. 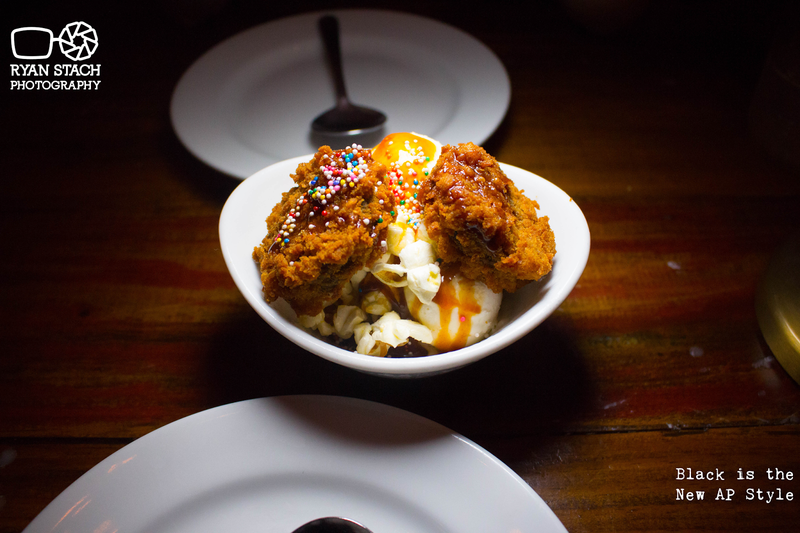 The menu went from Bayside Burgers and assortments of milkshakes to an eight-course meal with an encore of desserts, all paying homage to some of punk’s greatest anthems. True to Riot Fest form is the incorporation of America’s favorite television uncle – John Stamos. Adorning the walls are fan art, complete with Jesse and The Rippers leather jackets and even a tribute to the 2013 creation of Riot Fest’s John Stamos butter statue, which now melts right into the Have Mercy! cornbread. The main menu offers four “openers” and four “headliners”, ranging from jalapeno cornbread to turkey leg quesadillas and does not disappoint in any form. The Feel Good Salad of the Summer surprises you with its mix of zucchini, yellow squash, tomato, parsley, shaved fennel, chickpeas and feta cheese while the Hot Dog in a Hallway equally surprises with a German sausage fried in cornmeal and served with a tangy yellow mustard. While the C.R.E.A.M. (Curds Rule Everything Around Me) dipped in honey mead mustard is the definition of gooey perfection, it’s the Paramoreos that end the meal in the most mouthwatering way possible. With the warm-to-the-touch deep-fried Oreos served with vanilla ice cream, salted caramel and sprinkles, it’s safe to say that leaving The Riot Feast without a takeout container is the worst part of the entire experience. The geniuses behind both Riot Fest and Saved By The Max have created a carnival environment that stays true to its creep factor while maintaining a warm and open invitation to anyone willing to step in and appreciate the music festival/carnival aesthetic. 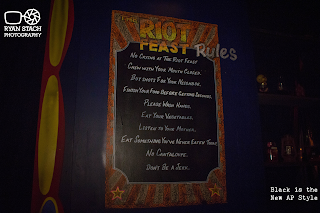 The Riot Feast is open for a limited time, Wednesday-Sunday, until September.